I have this weird thing. Despite not having a scrap of spirituality myself, I have a fascination with Jewish culture. It started in GCSE Religious Studies, and then I did my degree dissertation on the Jewish community in Manchester - it was a toss up between that and Lord Lever, my other strange love. Don't even get me started on Cyril. The food. Oh the food. It's all about comfort and company. A couple of years ago we went to Katz's Deli in New York, and I've been on the hunt for something similar over here ever since. I'm still toying with the idea of making my own salt beef after my mission came up fruitless. 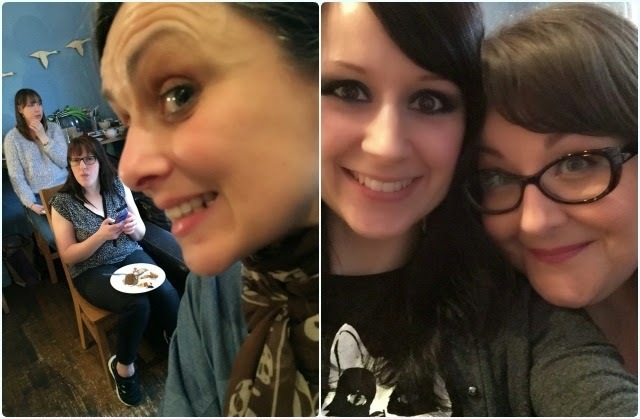 We were planning a trip to London for my birthday, and decided to invite some of our besties along for the food fuelled ride. As soon as the train tickets were purchased, I set about planning our culinary escapades. We wanted something fairly light for lunch, as we were doing a bigger meal in the evening. My pal Lee suggested a nice sandwich style gaff. And so happy memories of Katz's sprang into my little mind. 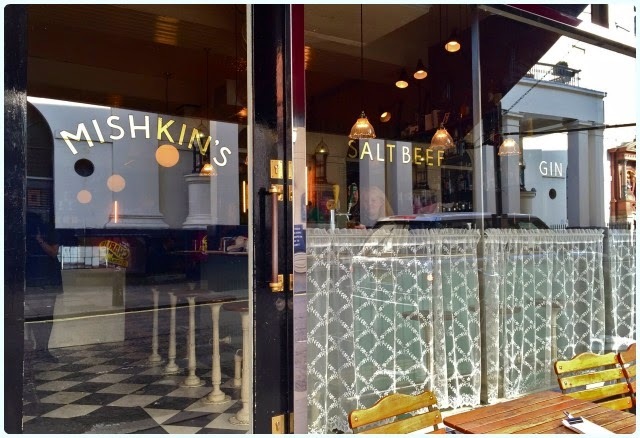 My quest led me to Mishkin's. We arrived after spending a couple of hours cooped on a train, and despite our 'train picnic' of pastries and prosecco, we were starved. We were greeted warmly and shown to a cosy booth at the back of the restaurant. 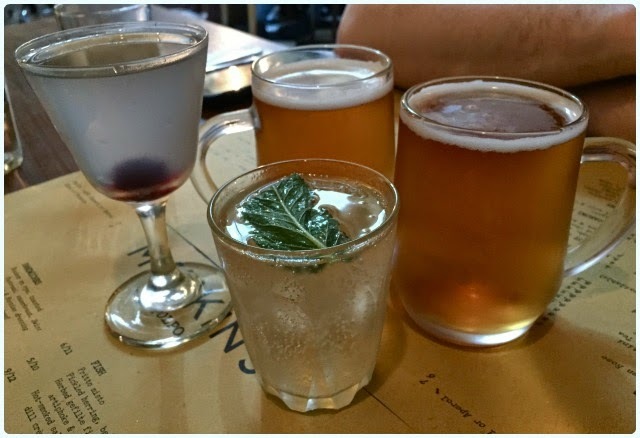 Drinks arrived promptly whilst we perused the menu. We resisted the urge to order everything, yet still managed to have a table packed with food when it arrived! 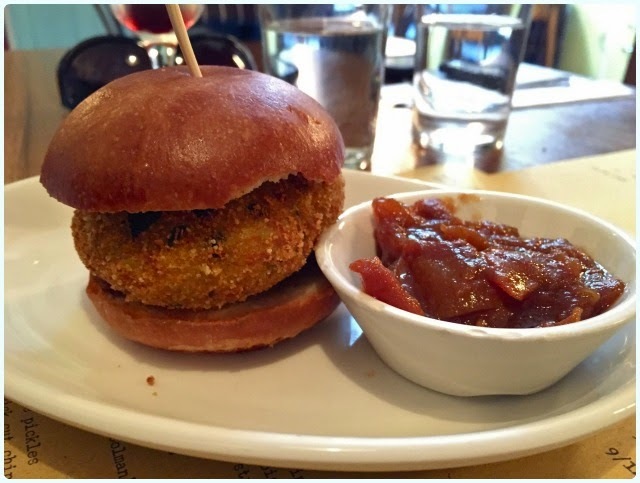 Slider - Chickpea, spinach & ricotta: I love the idea of mix and match sliders! Ideal for those with smaller appetities, or indeed greedy pigs like us who want to sample lots of different dishes. 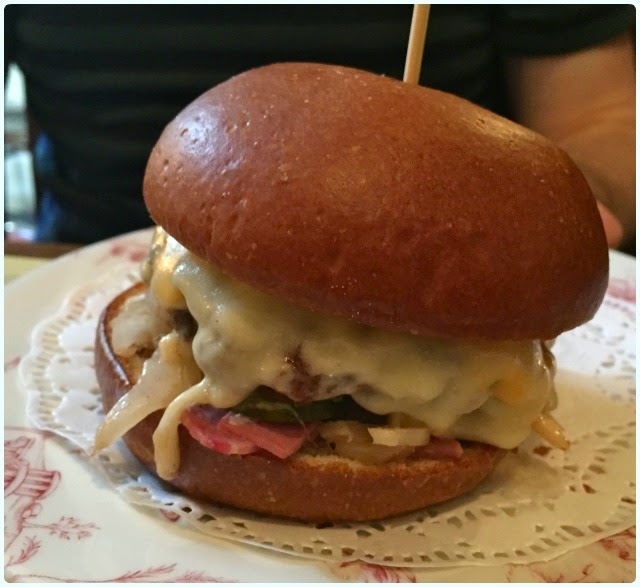 6oz Reuben burger - beef patty, pastrami, sauerkraut, Swiss cheese & Russian dressing: Now that's one good looking burger. Behold that dripping cheese... They actually do a 12oz version of this. Hell fire. Chicken soup: One of us had to. Lee was very quiet whilst eating this. This is proper chicken soup potent enough to see off colds and general train induced fatigue. 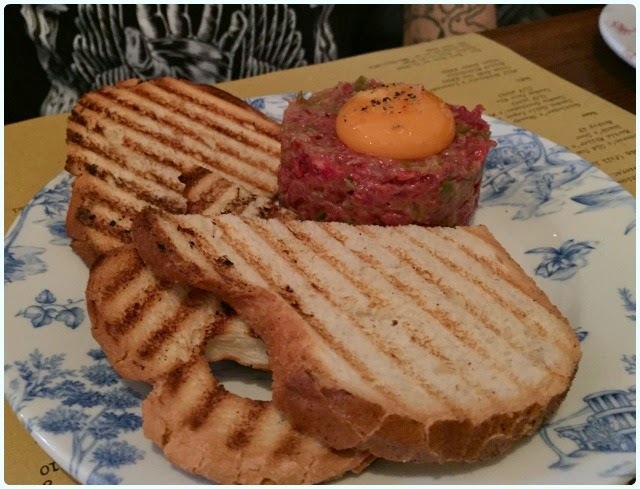 Steak tartare, grilled sourdough: Perfect spiced tartare with crisp sourdough. Heavenly. 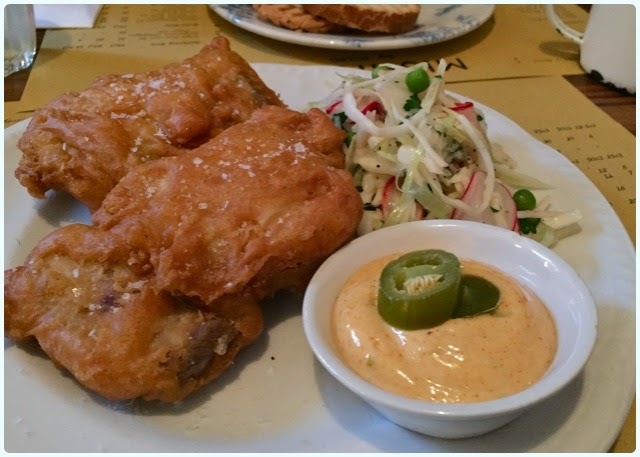 Fried chicken & slaw: Good god. This was my choice. I'm just a bit mad I can't remember it in more intricate detail (I think copious amounts of fizz and a cocktail helped with that...). It's the same kind of chicken I had at Pies and Thighs in Brooklyn rather than the Southern fried type. That jalapeno mayo was ridiculous. Thick cut chips and macaroni cheese: Like we needed sides. 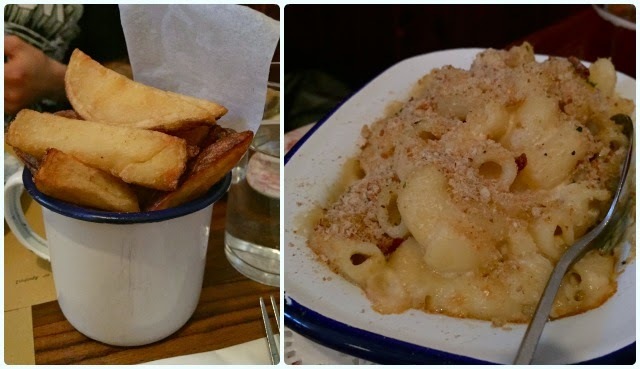 Crispy chips and lovely soft mac and cheese with a grilled breadcrumb topping. Loved. 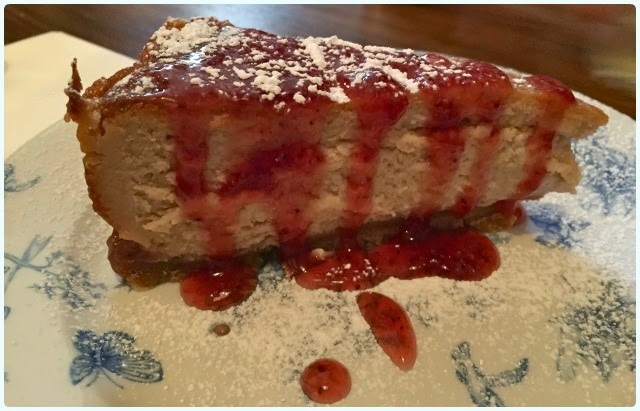 Peanut butter and jelly cheesecake: 'We'll share a dessert' we said... Little did we know that it would still finish us off. So much for the light lunch we had planned! I'm not mad keen on peanut butter, but remembered the amazing offering from Red's in Leeds, so ran with it. This was surprisingly light in texture, but still managed to pack a peanutty punch. 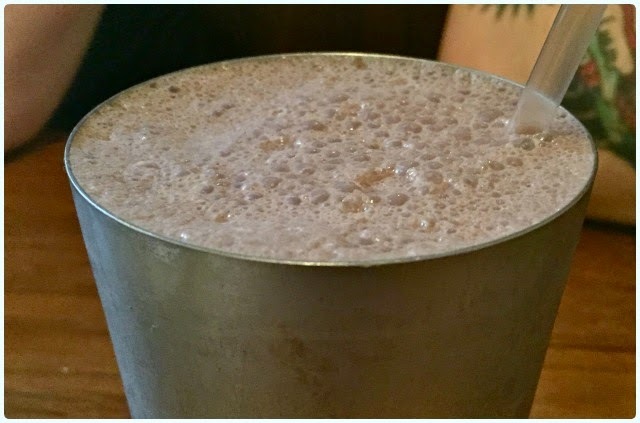 Chocolate milkshake: The boys opted for milkshakes as they thought they wouldn't be as filling. Wrong. We left with full bellies, sore sides from laughing, and each of us being referred to as 'Mishkin' at least twice a minute - this one's still ongoing. I adored our little Jew-ish deli trip with the other Mishkins. 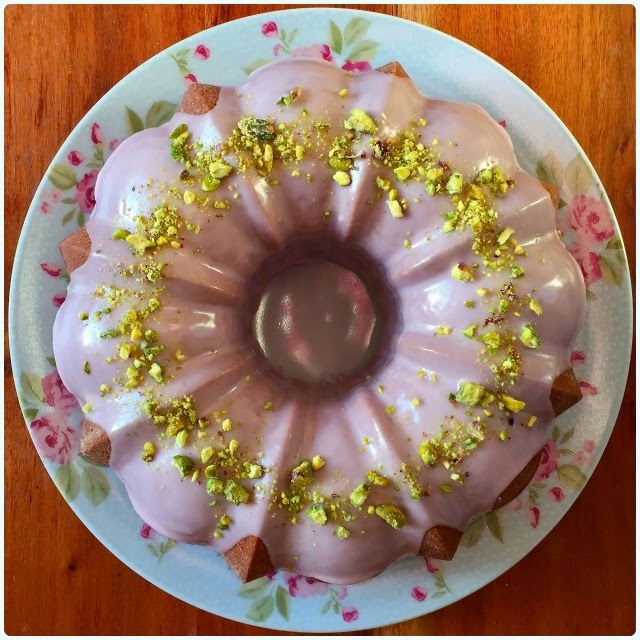 A lemon and white chocolate bundt had been on my mind for some time, so I took one for the team and bit the bullet. 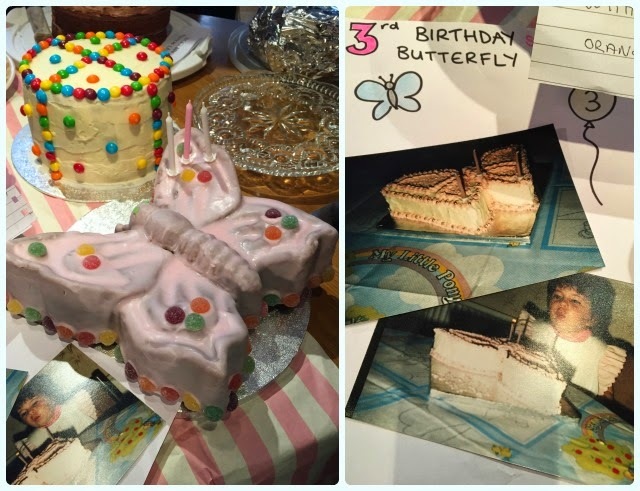 The result was one of my favourite cakes ever. I am never making it ever again. It's too damn risky! Everyone at work loved it, and agreed that the white chocolate covering isn't too sickly as there's only a thin (scrumptiously gooey) layer covering the cake. I'm trying not to think about it. In fact, I can't say much more on the matter. Too painful. Pour the yoghurt into a jug and add the zest and juice. When completely cool, warm your white chocolate spread in the microwave until slightly runny and tip over the cake. I used my Bavaria tin because it has lots of pretty nooks and crannies for the chocolate to fall into. Apparently the Queen wants to retire to the Ribble Valley - who can blame her? 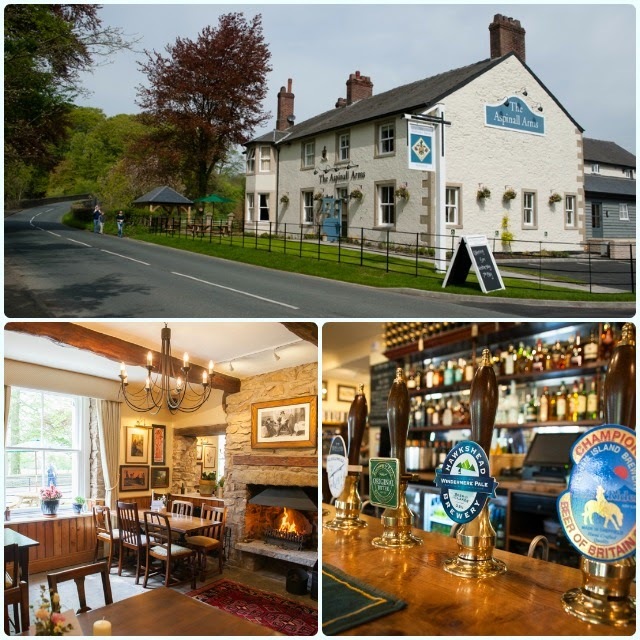 It's a beautiful area of the country, with rolling hills, babbling brooks, Roman ruins and some of the best pubs and restaurants in the country. I'm convinced that a pretty view makes the food taste better too. The Aspinall Arms in Mitton near Clitheroe used to be a pub we drove past on our way to The Three Fishes. When it was suggested we take a trip, I remembered it being in Mitton, but that was about it. 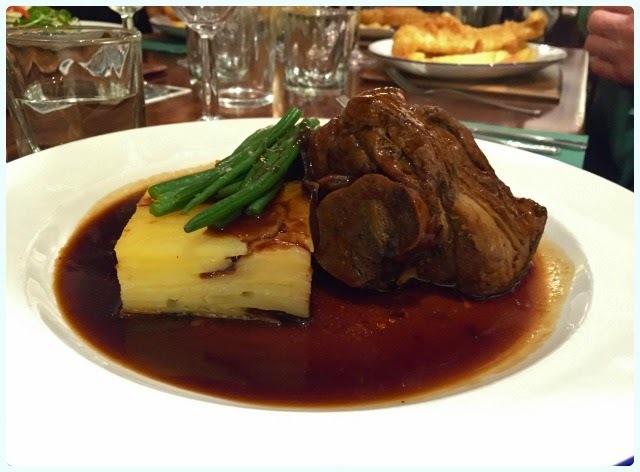 About seven years ago we had just discovered Nigel Haworth's Ribble Valley Inns, and thought no-one would ever come close to their amazing home cooked pub food. Then folk started to considerably up their game. 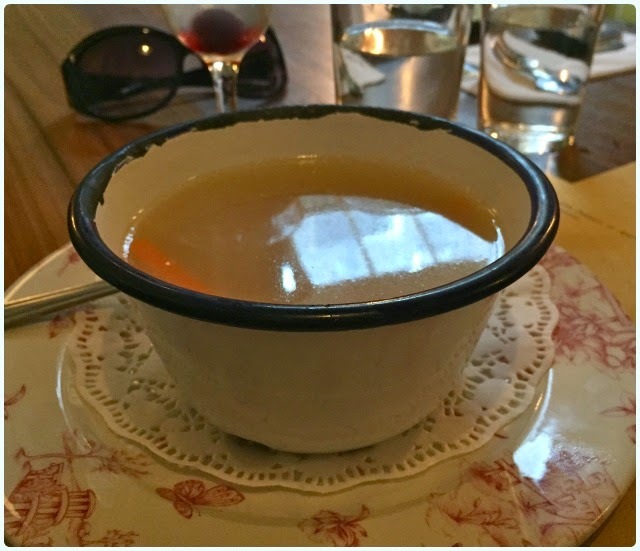 We no longer had to drive for an hour to get food worthy of the Good Food Guide; the Hearth of the Ram and Eagle and Child opened in Ramsbottom, and Manchester got the belly warming Beef and Pudding. The new breed of gastropub have been popping up everywhere ever since. This is great news for greedy folk like me, because there are more places to sample. The modern 'pub grub' establishment is a far cry from the wildly patterned carpeted, smoky kind of gaff serving up scampi and chicken in a basket, whilst the the football on the telly talks to itself in the background. These days it's all about roaring fires in the winter, al fresco dining in the summer, and more often than not, chalk paint in duck egg blue. 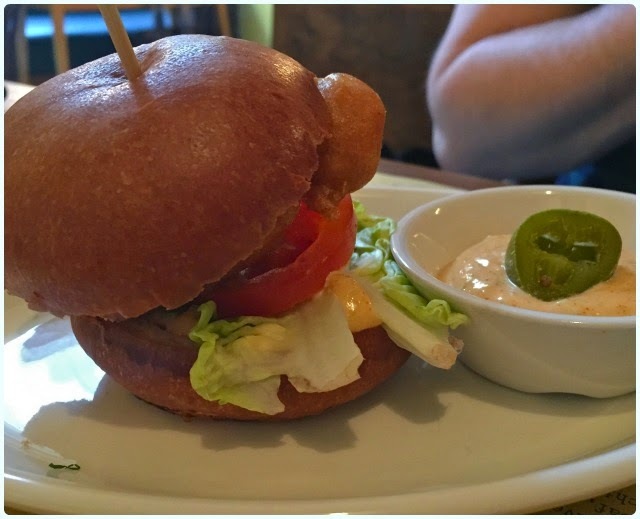 After extensive renovation in 2014, The Aspinall Arms is a real contender in the area. Some of our family live nearby, and were excited to take us there to try it for ourselves. We went on a Saturday evening (post cake club might I add...), when it was just starting to get busy. I needed something savoury more than I needed oxygen (slight exaggeration - granted). We had a good look at the cask selection whilst we waited for the rest of our party to arrive, which included a healthy selection of local breweries such as Hawkshead, and hometown favourite, Bank Top. By the time we sat down, I was absolutely ravenous, but luckily our order was taken pretty sharpish and I avoided nibbling on a beermat. 8oz steak burger topped with grilled bacon and Cheddar, served with coleslaw and chips: I'm always a bit dubious about ordering burgers from places like this. It generally goes one of two ways with little in between. It was truly scrumptious. 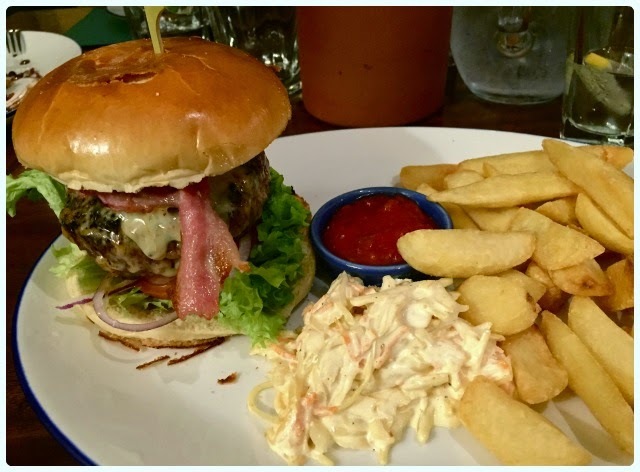 Just the right ratio of toppings to burger, crisp home made chips and a dollop of coleslaw. The perfect savoury antidote to an afternoon laced with sugar. Other members of the party had the humongous fish and chips, the venison and the crispy beef salad. Turns out the haddock was the winner amongst the group. 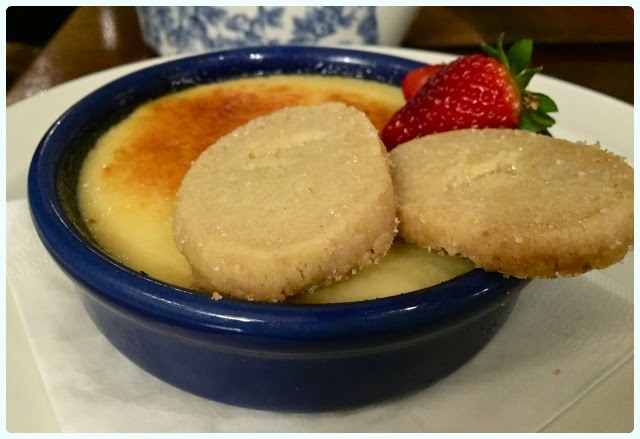 Crème brûlée with shortbread biscuit: I was way too full for a dessert (clearly sabotaged by cake club gluttony), but I had to get a snap of this impressive dessert. We all really enjoyed our trip to The Aspinall Arms. The service was attentive, the food was warming and the ambience was restorative. The Three Fishes have some serious competition from their new glam neighbours. I've wanted to make this for a while. I needed a green cake in my life. 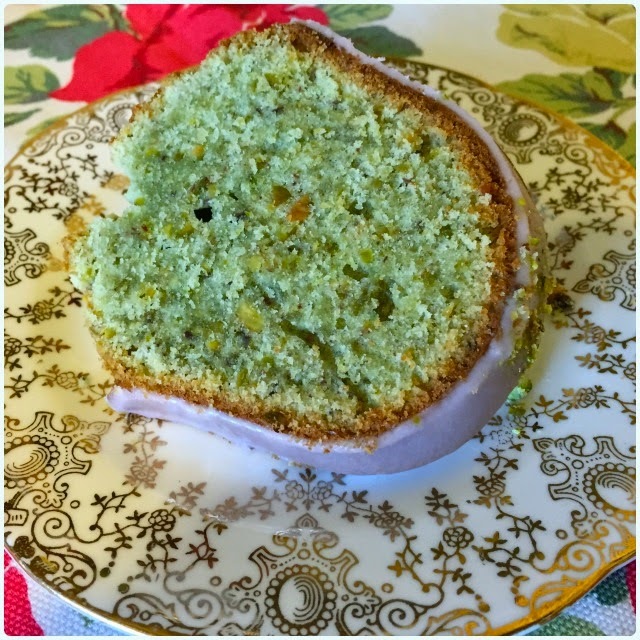 The first time I made it, I put way too many pistachios in it, but with a few tweeks, it turned out to be a rather lovely cake indeed. This cake has quite a heavy texture, but in no way is this unpleasant - it's more reassuring. It's the kind of cake you need to enjoy with a strong brew, with your pyjamas on, and possibly a few episodes of Catfish. Mix the butter and sugar until it's well combined. Add the beaten egg a little bit at a time until light and fluffy. Add the extracts and the honey to the yoghurt. In a separate bowl, sift the flour and salt. Fold in a third of the flour mix, followed by half of the yoghurt. Repeat until everything is combined. Dip the end of a teaspoon into the green gel, and swipe through the mix. Mix everything until its light and creamy looking. Pour into the prepared cake mould and level off with a quick shake of the tin. Bake for about an hour and fifteen minutes, turning after an hour. Once cooked through leave the cake to cool in the tin fully. 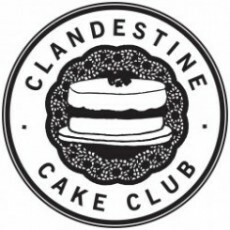 If it wasn't for the Clandestine Cake Club, some of my closest friends would never have entered my life. 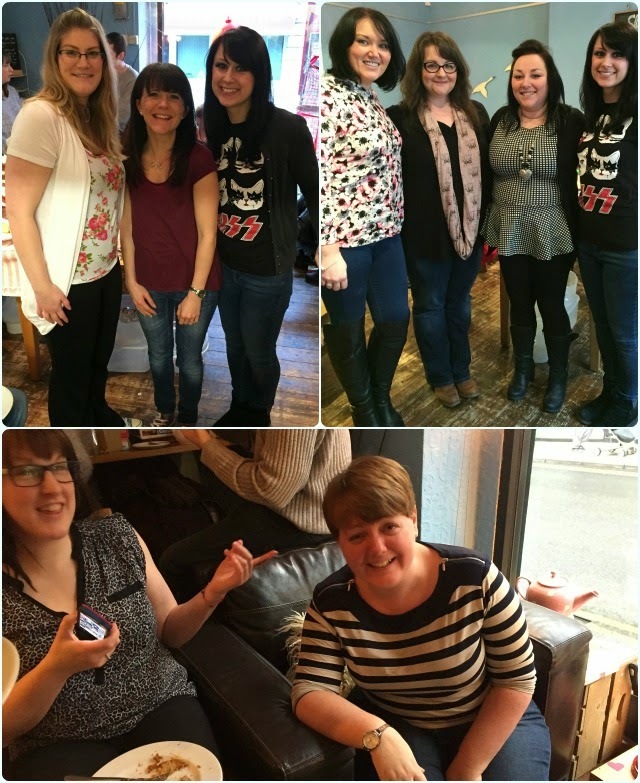 Three years ago I decided to start a Bolton branch, and never even dreamed that we could have so much fun! We push ourselves to be better, support each other through disasters, and regularly nearly wee ourselves laughing. 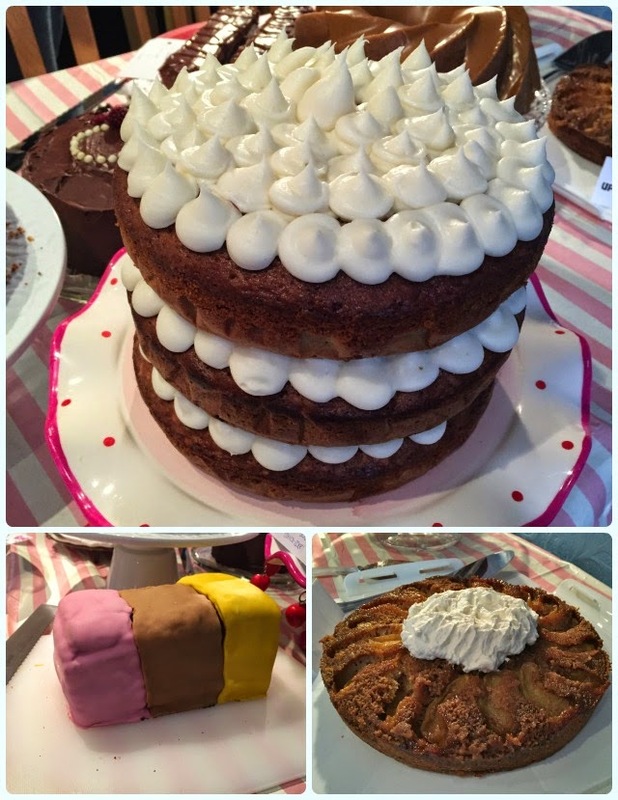 For us, cake club has been like some incredible cake-fuelled Jackanory; with tales of blind dates, work related ridiculousness, and some stories I cannot possibly repeat here - one including a very special kind of spider... This is what happens when you over indulge on sugar on a regular basis. 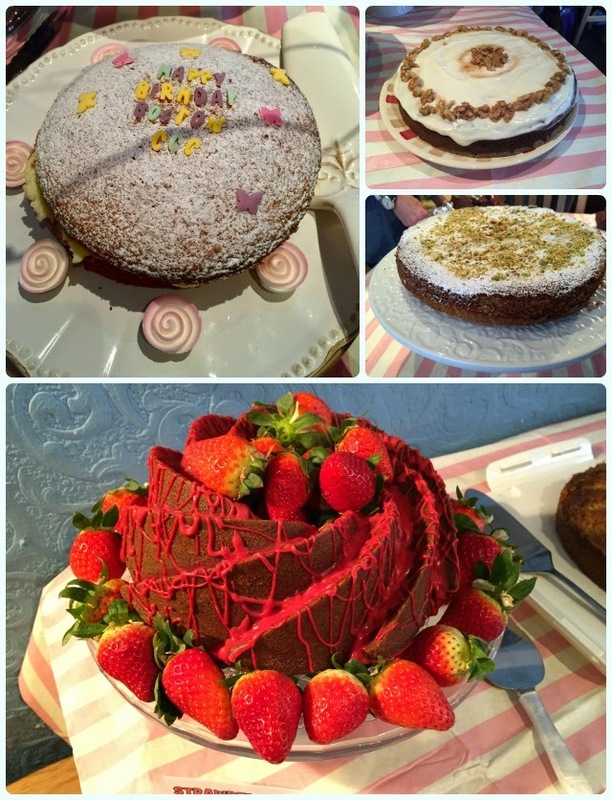 We sit and eat cake, vow never to be such a pig again, and then take just as much home in a cake 'trough'. We spend the rest of the evening cursing the 'cake ache' in our thighs and our own gluttony, whilst attempting to remedy our hopeless situation with cheese and/or crisps. I love the look on people's faces as you enter a venue with a massive cake, only to be followed by twenty other people doing the same thing. For normal folk, this can be very confusing. 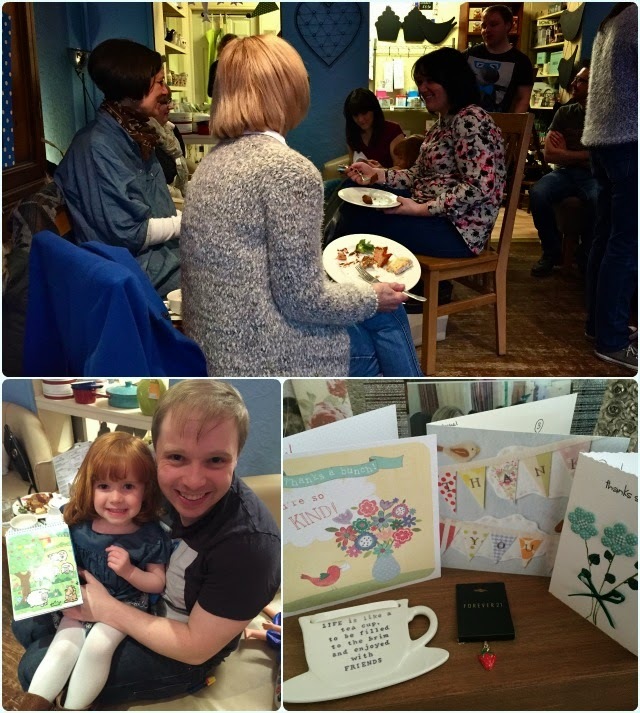 For us it all started with Amanda at Thyme Deli in Horwich. 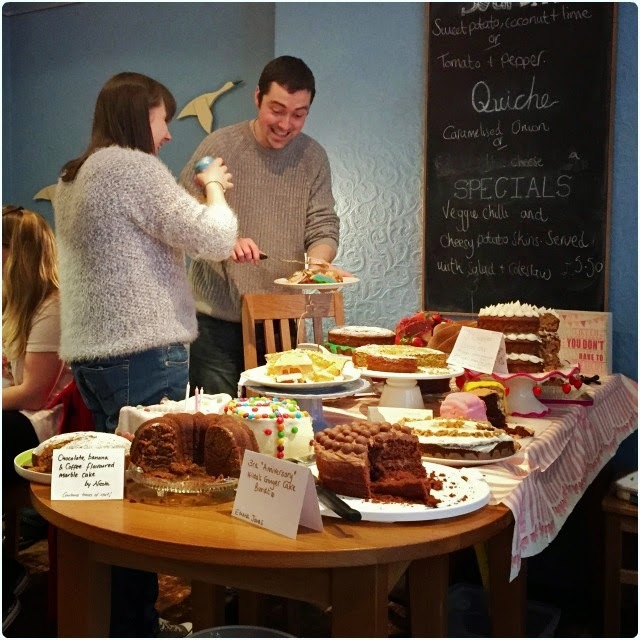 She was willing to let thirty-odd people into her dining room, bringing their own cake. We love her for it. It was only right that this is where my reign as organiser would come to an end. It's been a ball, but I'm ready to hand over to someone new. Saturday's meet up was of course, birthday themed. Bring something worth celebrating I told them... It was amazing. 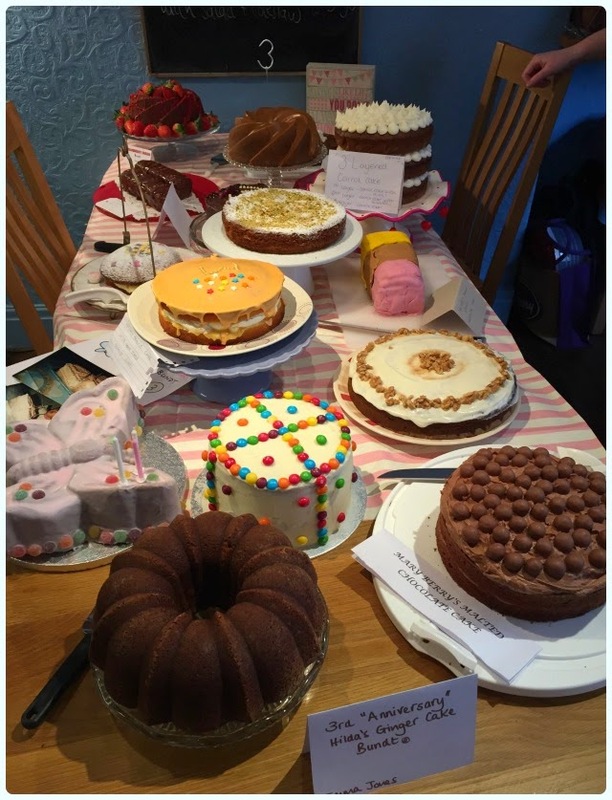 Considering some of this lot had never baked before they joined the club, they put on an utterly amazing spread! 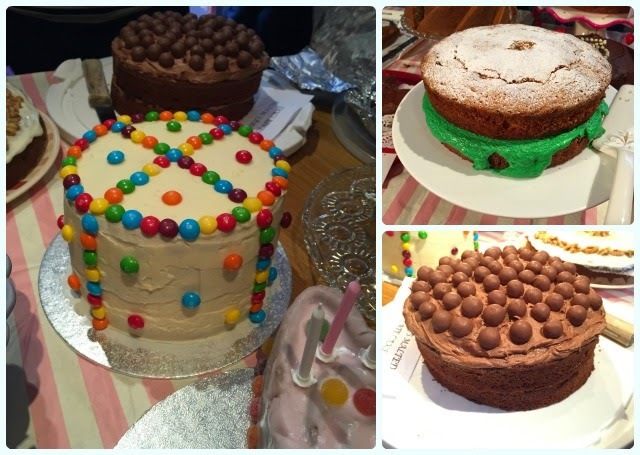 Everyone has skills in their own specific area, which means that no two cakes are ever the same. The last picture is one of my favourites. This is the moment Claire realised she had been hoodwinked by Michelle into organising the next meeting. Luckily for her, Clare will be joining her as joint organiser. I can't wait to see what they come up with, but one thing is for sure... that bloody 'Grunge' theme will happen! Thanks folks, It's been an absolute pleasure. 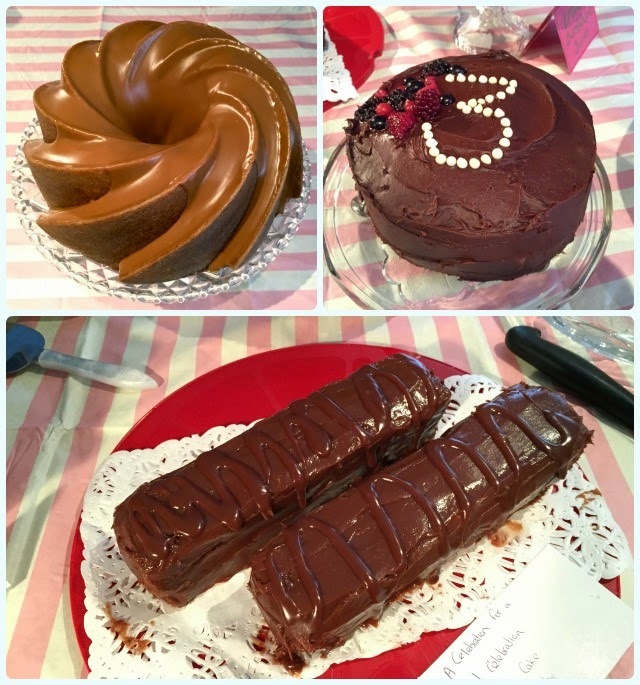 After three years I've opted to give the cake club reins to some other organised baking type, so I decided our third birthday was the time to relinquish cakey control. It seemed right to bake a spicy bundt, just like I did for our first meeting. However, this one needed to be spruced up a little! You know those little biscuits that come with your coffee? Those little spicy ones? They come in a plastic packet and probably have a shelf life of about a hundred years, yet people seem to love their caramelised spiciness. Look what I found in Tesco! They only do it in a spreadable version... I had to use it. 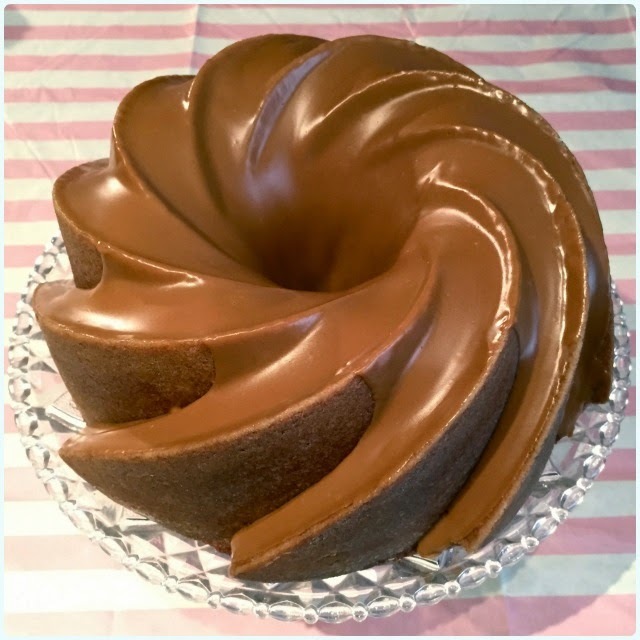 This cake is not for the faint-hearted. It's sweet, spicy, very moist and enough to induce a sugar coma if not remedied with something savoury! Saying that, it's a bit of a belter. 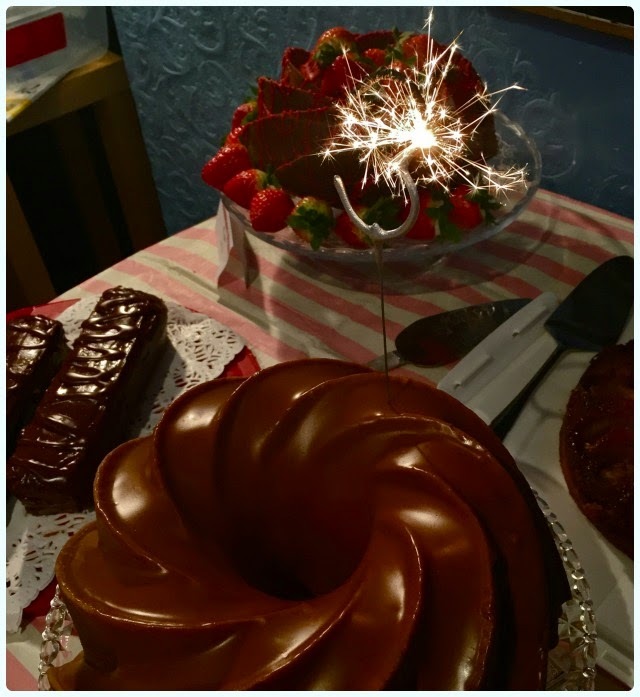 You don't have to cover the cake in the spread, but it's an unusual addition which will have your samplers questioning whether you are in fact a witch. Mix the butter and sugar until it's well combined - there's a lot, so do it in stages. In a separate bowl, sift the flour, spices, salt and bicarbonate of soda. Add the dry ingredients to the cake batter a little at a time. 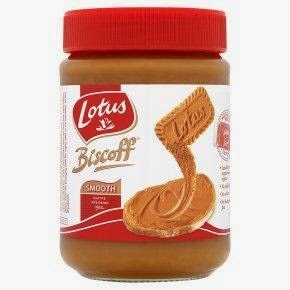 When it's out of the tin, transfer the Lotus spread into a jug and warm slightly in the microwave. Just enough for it to move around of its own accord... Tip over the cake.